Well that didn’t take long ….after I made Hazelnut milk I didn’t want to throw out the nut pulp that is for sure! So I came up with this quick recipe for Hazelnut Peanut Butter bites. Fantastic way to use up your pulp after making any nut milk. Kid approved and a healthy tasty treat! Combine all ingredients in a food processor and process until it starts to come together and easily sticks together when pressed in between your fingers. 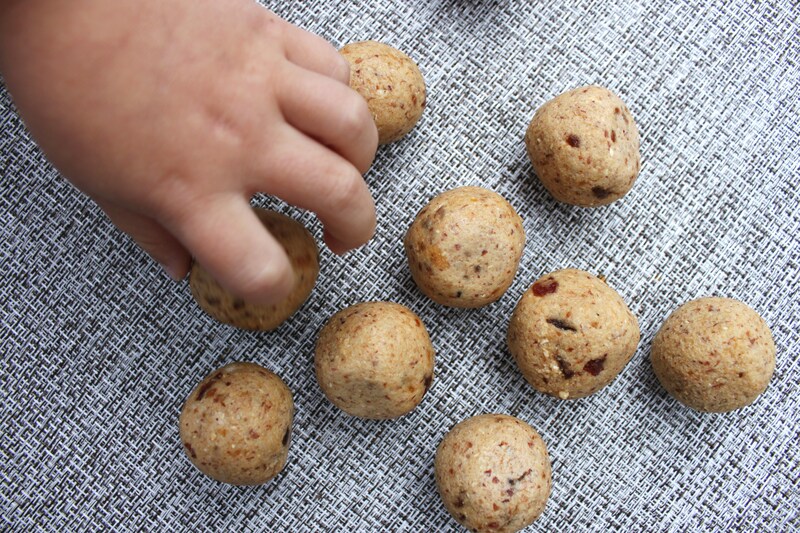 Roll into small balls in the palms of your hands and place on a parchment lined baking sheet. Put in the freezer for about 10 minutes just to firm them up. After that you can store them in the fridge separating layers with parchment paper to avoid sticking. (That is if they make it to the fridge). And there you have it, fresh hazelnut milk AND a tasty treat all in one day!